The field of Emergency Medical Services (EMS) is quite complex and multifaceted. In the Philippines, the EMS force has been functioning for quite a long time now. However, many of the general public have no idea or are not that familiar on what an EMS is and what do the EMS professionals do. Filipino citizens are somehow not oriented with the existence of the Emergency Medical Services (EMS) and with its professionals’ duties. Especially on provinces and far- flung areas where people are not familiar on calling the service when an emergency occur. People, when asked what to do in an emergency, such as a medical crisis, many have responded that they would bring the victim in a hospital or nearby clinic by themselves or with the aid of someone near the place of incident. There was no mention of any emergency medical services, a paramedic or an EMT. This occurrence is actually not surprising. 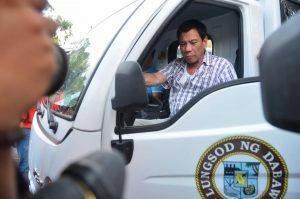 The Emergency Medical Services in the Philippines has long been established but is actually not introduced amongst the people. Although these professionals respond to emergencies – whether medical or environmental in nature, Filipinos were not taught of calling for the EMS service rather calls for help to someone they know. It is noteworthy that EMS may encompass professionals such as an Emergency Medical Technician (EMT) and a paramedic. These are separate professions itself and are different from each other. Indeed, EMTs and paramedics are both knowledgeable and skilled to provide emergency care to patients, but they do differ from the education and training they received and went through. EMTs usually complete a 120-150 hours of course training that consists of lectures, hand-on skills training, and clinical or field internships. On the other hand, paramedics are more advanced providers where they complete a 1,200 to 1,800 worth of lecture and training hours in their course. On one hand, the Emergency Medical technicians, they perform pre-hospital services and basic life support during emergency situations. Basically, EMTs are allowed to provide treatments not requiring any break in the skin – such as the use of needles. On the other hand, paramedics are the ones who were trained to perform more advanced and complex tasks. These professionals are skilled in providing Cardio Pulmonary Resuscitation (CPR), oxygenation, allergic reactions and asthma attacks – which are just a handful. Their roles and responsibilities may also include the implementation and monitoring of infection control policies and procedures, application of basic first aid, perform basic life support (BLS) as well as advanced cardiac life support (ACLS). EMS professionals are trained to respond effectively to difficult and challenging situations while maintaining a high standard of patient services. They are skilled to operate life support equipment and resources, as well as in promoting a safe access rescue procedures in an emergency. These services should be delivered promptly on pre- hospital care operations which should be done competently and intensively. Further, their duties also comprise of the management of ambulance services and the allocation and coordination of its resources as well. They are alps trained to effectively communicate with human resources in times of crisis, manage ambulance operations, and even drive vehicles under operational conditions. 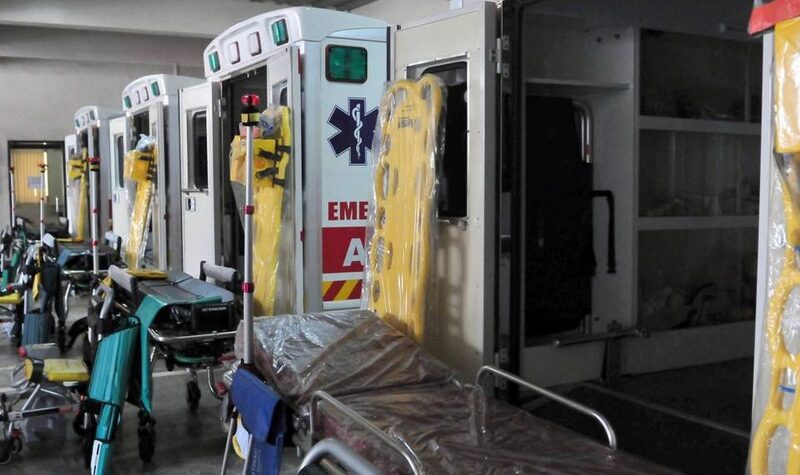 At present, the Philippine government and organizations are making steps to make the emergency medical services become better and more efficient. It has been a progressive move, making the Philippine EMS team attain and practice worldwide standard. Various laws have already been enacted in recent years, not to mention several policies implemented, to realize this constitutional mandate of achieving universal healthcare. And the foregoing measure aligns with this goal, as it aims to establish, institutionalize and strengthen an emergency medical services system (EMSS) throughout the country. Such EMSS would constitute the overarching policy framework governing the provision of emergency medicine (EM) in each of the country’s Local Government Units (LGUs). Emergency medicine is a specialized discipline in the medical field focused on giving timely and coordinated health and safety services to victims of sudden illness or injury, prior to them reaching hospitals, health centers or other brick-and-mortar healthcare facilities. In fact, according to papers delivered at the October 2013 Asian Conference on Emergency Medicine, the Philippines was one of the earliest among participating countries who officially recognized pre-hospital EM as a separate discipline (1988) and instituted post-graduate EM exams (1990)1 to recognize and certify EM physicians and nurses. Despite these early developments however, EM in the country has fallen behind, as a national society for EM was established only in 2011. 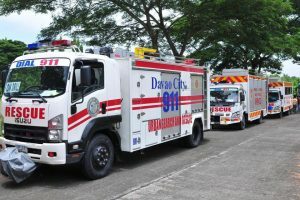 According to data cited at the 2013 Asian Conference on Emergency Medicine, the Philippines only has 3,300 recognized Emergency Medical Service (EMS) personnel. And out of a reported 1,795 hospitals in the country, only 200 (or 11 percent) can be considered “emergency hospitals” -that is, facilities that are capable of providing quality EM care. 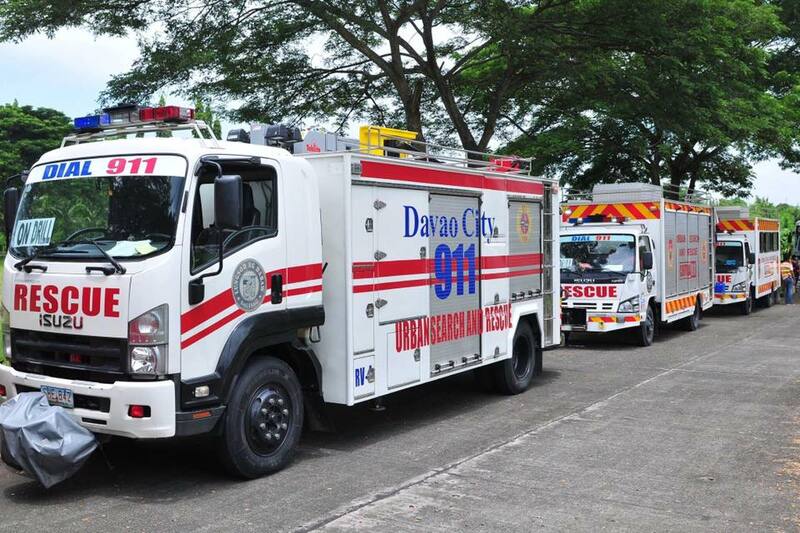 The foregoing measure aims to reverse this situation, by mandating LGUs to establish emergency dispatch centers with adequate and qualified personnel equipped with emergency transport vehicles like ambulances. A National EMSS Advisory Committee, co-chaired by the Department of Health (DOH) and the Department of Interior and Local Government (DILG), shall be created to ensure the establishment of a nationwide EMS network. The National Telecommunications Commission (NTC) is also called on to develop a working system for a national emergency number, such as the 911 emergency hotline rolled out under the Duterte Administration. The measure also stipulates that each LGU, hospital and healthcare facility should have a minimum number of positions for Emergency Medical Technicians (EMTs), the salaries of which should be included in the annual financial requirements of their respective institutions. As more work is put into improving the country’s health system, we earnestly seek the swift passage of this measure. 1 Pek, Jen Heng et al. 2016. “Emergency medicine as a specialty in Asia.” Acute Medicine & Surgery, 3: 65-73. Accessible via http://onlinelibrary.wiley.com/doi/10.1002/ams2.154/abstract. [Accessed on June 20, 2017]. SEC. 2. Declaration of Policy. – It is hereby declared the policy of the State to protect and promote the right to health of the people and instill health consciousness among them. Pursuant to this national policy, the government shall institutionalize a comprehensive, accessible and integrated system of emergency medical services. f. Establishes support services to emergency medical services. e. Emergency Medical Service Personnel refers to unique health care personnel involved in the practice of pre-hospital care, which includes provision of medical care, systematic coordination and transportation of patients with medical direction. They may include Medical First Responder (MFR), Ambulance Care Assistants (ACA), Emergency Medical Technicians (EMT), Paramedics, Emergency Medical Dispatcher (EMD) and EMS Medical Director. f. Emergency Medical Services (EMS) refer to the network of services coordinated to provide aid and medical assistance from the scene to the most appropriate and definitive health facilities, involving personnel trained in stabilization, transportation, and treatment of trauma or medical cases in the pre-hospital setting. 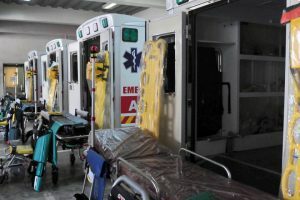 g. Emergency Medical Services System (EMSS) refers to a comprehensive system which provides the arrangement of personnel, facilities, and equipment for effective, coordinated, and timely delivery of health and safety services to victims of sudden illness or injury in the pre-hospital setting. The conceptual framework of the system revolves around five components and core services of pre-hospital management namely: Emergency Medical Dispatch, Emergency Response and Care, Emergency Transport, Inter-agency referral and Transport, and Command and Control. j. Emergency Medical Vehicles refer to an ambulance or other vehicles for emergency medical care which provides, a minimum, (a) a driver’s compartment; (b) a patient compartment to accommodate an emergency medical technician (EMT) and a patient so positioned that said patient can be given intensive life-support during transit; (c) equipment and supplies for emergency care at the scene as well as during transport; (d) two-way radio, telephone or electronic communication with the primary medical services provider, and when necessary, equipment for light rescue/ extrication procedures. 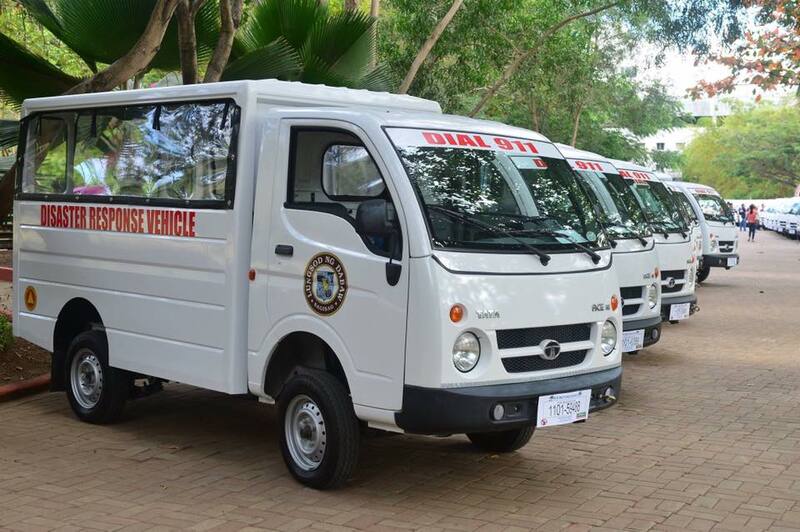 The emergency medical vehicle shall be so designed and constructed to provide the patient with safety and comfort, and avoid aggravation of the patient’s injury or illness. SEC. 5. Emergency Dispatch. – This Act mandates local government units to create their Dispatch Centers with adequate and qualified personnel. The Dispatch Centers shall follow the prescribed guidelines on dispatch protocol. SEC. 6. Emergency Response and Care. – This Act ensures the availability of emergency transport vehicle or ambulance with qualified EMS personnel. Responders shall follow the prescribed guidelines on emergency response and care. SEC. 7. Emergency Transport. 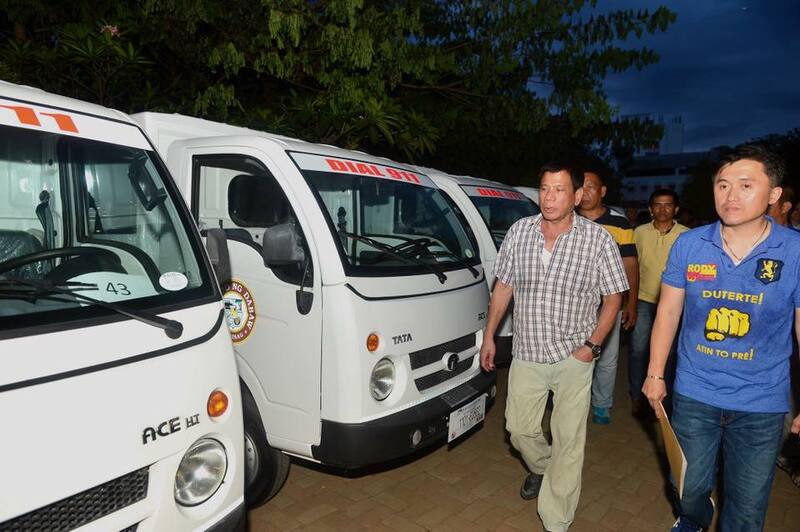 – This Act shall follow the prescribed guidelines of the Department of Health on Ambulance Services. The Philippine Health Insurance Corporation (PHIC) shall provide coverage for EMS subject to their policies and guidelines. SEC. 8. Inter-agency Referral and Transport. – This Act shall establish the prescribed protocols/ guidelines on inter-agency referral and transport. SEC. 9. Command and Control. – This Act mandates the establishment of a National Command Center with a functional Universal Emergency Number. All Local Government Units shall establish their respective Command Centers with designated qualified EMS medical director. Command Centers shall govern the EMS systems based on the prescribed operational guidelines. The Command Center can be co-located with the Dispatch Center. SEC. 10. Creation of the National EMSS Advisory Committee. – The National EMSS Advisory Committee is hereby created under the leadership of the Department of Health (DOH) and the Department of Interior and Local Government (DILG). The Director General of Technical Education and Skills Development Authority (TESDA). One (1) representative from the Philippine Red Cross. SEC. 12. Term of Office. – Each member of the EMSS Advisory Committee shall not serve for more than three (3) consecutive terms. A term shall be for a period of two (2) years. SEC. 14. The Secretariat. – The EMSS Advisory Committee shall organize a Secretariat headed by a person of probity and shall have at least five (5) years experience in emergency medical services or a related field. SEC. 15. Meetings. – The EMSS Advisory Committee shall meet at least once every quarter and as needed. SEC. 16. Creation of Positions for Emergency Medical Services (EMS) Personnel. – This Act shall create a minimum number of positions for EMS personnel especially Emergency Medical Technicians (EMTs) in the all local government units and healthcare facilities, according to their context and needs. 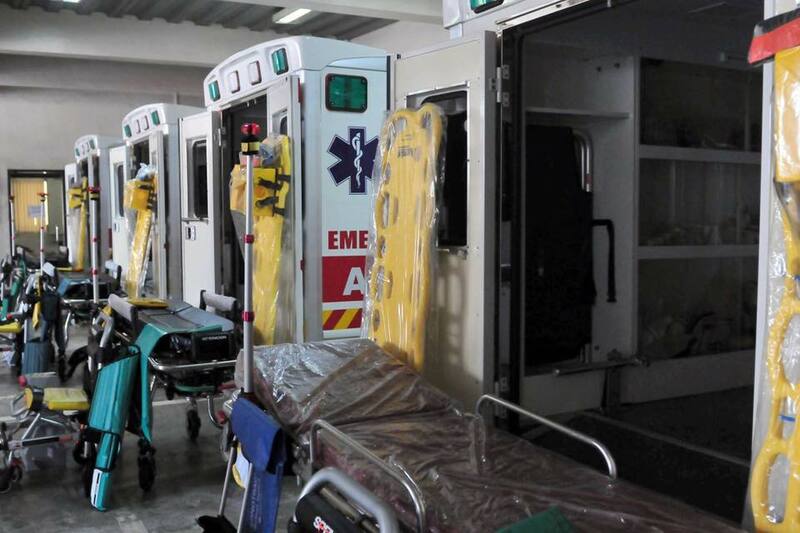 The annual financial requirements needed to pay for the salaries and benefits of EMS personnel shall be included in the annual general appropriations of the respective hospitals, agencies and local government units. SEC. 17. Authorized Training Institution. – Training programs, course, and continuing education for Emergency Medical Technician may only be conducted in an institution ha has been granted a Certificate of Program Registration (COPR) by TESDA, in the case of technical non-degree courses falling under TESDA jurisdiction, or a Certificate of Accreditation as a Higher Education Institution (HEI) as well as Program Accreditation by CHED, in the case of degree programs falling under CHED jurisdiction. The requirements prescribed by the EMSS Advisory Committee shall serve as the minimum requirement for program registration. The DOH can provide training programs for EMTs following the standards set by the EMSS Advisory Committee. SEC. 18. Emergency Medical Vehicles. – This Act shall follow the prescribed guidelines of the Department of Health on the specification and equipage of an Ambulance Service. SEC. 19. Adoption of a National Universal Emergency Telephone Number. – There shall only be one national emergency number to enable the public to access emergency medical services (911). Towards this end, the National Telecommunications Commission (NTC) shall develop a program for the adoption of a national emergency number with the LGUs and officials responsible for emergency service and public safety; the telecommunications industry (specifically including the cellular and other wireless telecommunications service providers); the motor vehicle manufacturing industry; emergency medical service providers; emergency dispatch providers; transportation officials; public safety, fire service and law enforcement officials; consumer groups; and hospital emergency and trauma care personnel (including emergency physicians, trauma surgeons and nurses). SEC. 20. Access to Automated External Defibrillators (AED). – This Act shall mandate all government/ public and private institutions, including malls, parks and transport stations, to place at least one (1) automated defibrillator in their respective areas of responsibility. SEC. 21. Appropriations. – The Secretaries of the Departments concerned shall include in their programs the implementation of this Act, the funding of which shall be included in the annual General Appropriations Act. SEC. 22. Separability Clause. – If any clause, sentence, paragraph or part of this Act shall be declared unconstitutional or invalid, such judgment shall not affect, invalidate or impact any other part of this Act. SEC. 23. Repealing Clause. – Any provision of laws, orders, agreements, rules or regulations contrary to and inconsistent with this Act is hereby repealed, amended or modified accordingly. SEC. 24. Effectivity. – This Act shall take effect fifteen (15) days after its publication in the Official Gazette or in a newspaper of general circulation.